A day after Carrick Felix’s sudden de-commitment from Duke, mystery continues to abound as to who or what—exactly—was the impetus for the sudden change. Various college basketball outlets and message boards postulated that grades, tricky transfer credit issues, or even sheer distance from Idaho to Durham may have played into Felix’s choice. But the likely cause is much simpler. The ubiquitously great blog The Dagger noted today that the return of Kyle Singler—and the concomitant effect of less available playing time at the small forward position—made Felix re-think his commitment to the Blue Devils. OK. Playing time, the primal need of all blue-chippers, was the root cause. And we understand. You only get one chance to go from unheard-of JuCo star from the wild west to a high-flyer at a D-1 school. Felix is being realistic here. Coach K’s bench is usually short, with the rotation usually whittled down to seven or eight players by season’s end—the Title run is case in point. And next year’s pool of talent is outlandishly deep. Even if Felix would have been Singler’s only ‘natural’ backup—he’s 6 foot 6—there’s no telling exactly how much burn he would get. Perhaps during Singler’s rest periods K would prefer to go small with Irving, Smith and Curry/Dawkins, leaving a combination of Plumtrees, Kelly and Josh Hairston to man the paint. It is foreseeable that Felix could be bumped from the lineup due to sheer plenitude of players, at least during the first of his three seasons of eligibility. So, with K’s first JuCo recruit suddenly out of the picture, where does Duke stand? I’m not too worried about Kyle’s stamina—the Iron Man-esque performance he put on en route to Tournament M.O.P. dispelled the myth that Singler ‘tires out’ at the end of the season. As I said above, even with Kyle out of the game we will have ample speed and scoring ability with the five-headed guard core. The 2010-11 Devils will have plenty of firepower, Felix or no Felix. The open scholarship also opens up options for the next two recruiting classes.We currently have two players in the truck for 2011: power forward Tyler Adams and wing Michael Gbinije. The coaching staff is also going hard after two of the top 5 prospects in the country—forward Quincy Miller and combo guard Austin Rivers. Many people, including Rivers’ AAU coach, think that the son of Doc will land in Durham. Miller is more nebulous, and his ties to John Calipari and Kentucky are strengthening. Best case scenario, we land Miller and Rivers to go along with Gbinije and Adams. That’d likely be a top-3 recruiting class along with the hauls of Kentucky and UNC, each of which have already scored commitments from top-10 talents for 2011. If Miller winds up in Lexington, we have another spot open for the 2011 class. 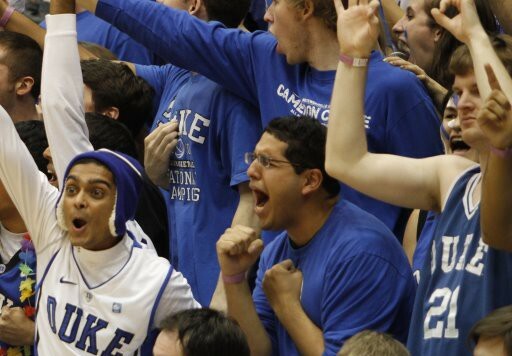 I suggest we go no-holds-barred after 2011 five-star point guard Quinn Cook. Cook is from the Duke recruiting hotbed D.C.-Maryland-Virginia area, plays in the famed DeMatha program, and is a close friend of Nolan Smith. So Cook has ties to Duke, and let’s be honest—Kyrie Irving will be in the position to jump to the NBA after two seasons in Durham. “Duke point guard” is a legendary title for an athlete, and Cook is a great option to pair with Tyler Thornton should Irving jet to the league earlier than expected. So in the end, Felix’s surprise non-matriculation will not hurt Duke that much. The extra scholarship will be useful in the next two classes of recruits—2012 is particularly loaded at the wing position. Nonetheless, it is unfortunate that this didn’t work out. Felix will find his niche at some school—probably out west somewhere—but he probably won’t get the chance to play for a coach like K or for a team as high profile as Duke. I feel like Carrick would have earned a healthy chunk of minutes by the 2011-12 season, but perhaps the young man wants to start right away. We wish him good luck in his NCAA career.